Even the most professional companies have room for improvement in their sales programs. Often sales leaders within these companies are unable to identify the areas that need to be addressed. This is due to the fact that the evaluation of the sales program requires specialists with different skill sets to effectively analyze the program. At Base Over Apex we have a team of specialists ready to do just this for your company. Our Sales Program Audit Team is made up of process improvement experts, certified HR and sales professionals. We are the fresh set of eyes you need. Once complete, we provide a detailed report which includes our findings, recommendations and an action plan. We provide you with a clear road map of how to get where you want to be. 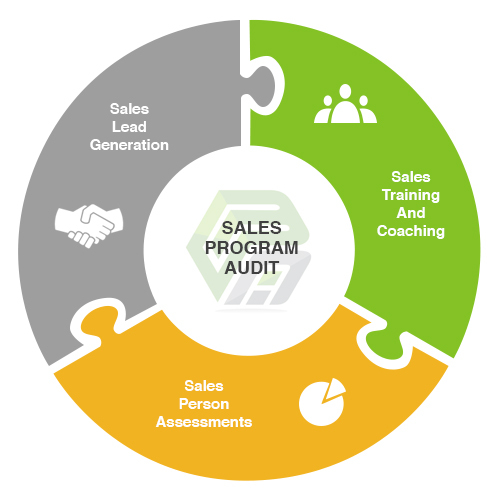 The Sales Program Audit will give your company the required information to refine your sales process to achieve your targets and company goals.